* NOTE: I work at the Neal A. Maxwell Institute but this post represents my own quick overview and my own thoughts. While most people at the Institute share my concern and my interest in seeing more women become involved, I speak only for myself here and not in my capacity as an Institute employee. Brigham Young University established the Neal A. Maxwell Institute for Religious Scholarship in 2006. It began as a sort of grab-bag miscellanea, a group of loosely related projects which needed a firm institutional home at BYU. The Foundation for Ancient Research and Mormon Studies had evolved from a volunteer non-profit group in 1979 to a well-funded constellation of scholars and publications by the late 90s when BYU acquired it. Other projects—the Center for the Preservation of Ancient Religious Texts, and the Middle Eastern Texts Initiative—were brought together under the name of Elder Maxwell, who was especially interested in the life of the mind and spirit, and in employing scholarship to defend and increase faith. FARMS was subsequently absorbed by the Willes Center for Book of Mormon Studies when the Willes family made a generous donation with an eye toward improving Book of Mormon research. Another donor helped create the William Gay Research Chair. The Maxwell Institute: Books, journals, research updates, lectures, co-sponsored seminars, and translation projects. For more background on the parts that make up the Institute, see here. With that background in mind, it’s clear that there haven’t been enough women involved in the work of the Maxwell Institute and its predecessors. Let’s look at the numbers. I did a quick survey of the Institute’s publications (and FARMS before it). Out of approximately 920 authors of books, book chapters, and journal articles, only about 120 of these are women. That’s about 12%, but that number is misleading. I subtracted women who co-authored publications with men (about 16), women who wrote “Preliminary Reports” which were never actually published (5), contributors to a book called To All the World—excerpts from the Encyclopedia of Mormonism which was not an Institute project (10), and women who have participated in the Summer Seminar on Mormon Culture—only hosted at the Institute since 2006, the participants of which not being selected by the Institute and whose papers are not all on the website yet, though I’m working on that—(16). I arrived at about 70 women out of 920, or 7%. But that percentage is still a bit misleading. If we tallied things according to number of articles/books published, men would far outnumber women contributions. Some men have made dozens of contributions, whereas the most prolific woman contributor, Gaye Strathearn, has contributed eight publications. I didn’t perform a tally, but I wouldn’t be surprised if women are responsible for less than 5% of FARMS—and later the Institute’s—total output thus far. Out of about 132 total books, five included a female co-editor and only one was edited by a sole woman (Susan Easton Black). One out of the five “Occasional Paper” publications was written by a woman (that number is even less impressive when you consider that some Occasional Papers included multiple works by men). The Institute and FARMS before it has never published a monograph written by a woman. Only 32 women contributed articles to periodicals between 1989 and 2013. But here’s where things begin to look up. 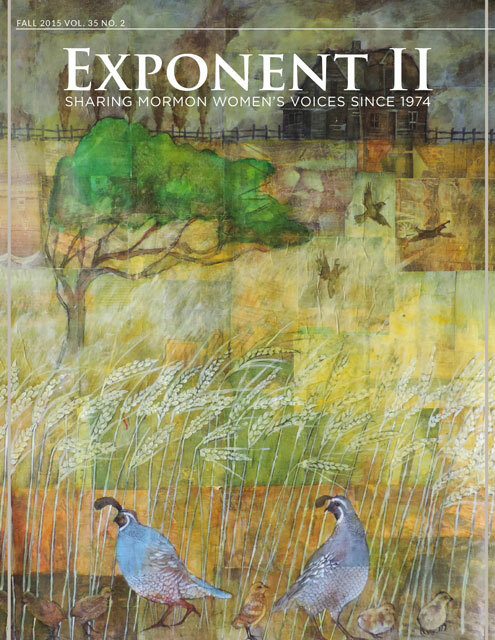 Studies in the Bible and Antiquity was first published in 2009 and this journal has led out in involving more women. Two of the five contributors to volume one were women (one of whom was Gaye Strathearn, that most prolific author mentioned above), a trend the editors sought to continue. Since 2014, 21 women have contributed articles to the Journal of Book of Mormon Studies, Studies in the Bible and Antiquity, and the Mormon Studies Review. All told, that’s 32 women over a quarter century versus 21 in the span of two years. For the first time, the MSR has a female co-editor and the JBMS’s book review editor is a woman. Two other women serve on the JBMS advisory board and four women serve on the MSR advisory board. Women are still outnumbered on those boards, just as recipients of the Institute’s Nibley Fellowship awards continue to be primarily male (the last round of recipients included one young woman). I wish I had a better track record with the Maxwell Institute Podcast. Out of 30 episodes I’ve interviewed 11 total women (2 of which have appeared twice) and 26 men (3 have appeared twice). That’s about 42%. I’ve been making efforts to speak with more women on the show. Of course, all along there have been women working behind the scenes on productions, office, and other matters, things I didn’t think much about before I started working here. Specific mention should be made of Shirley Ricks, long-time Institute publications guru who has worked on an impressive number of projects since 1989, and Angela Barrionuevo, whose editorial work on the Middle Eastern Texts Initiative is indispensable. My public communications intern Sarah Skriloff brought a lot of needed skills to the table. Student staff and intern groups past and present have included a lot of women as well, including current CPART intern Jessica Steele. The gender disparity is reflected in the people engaged with the Institute on social media. 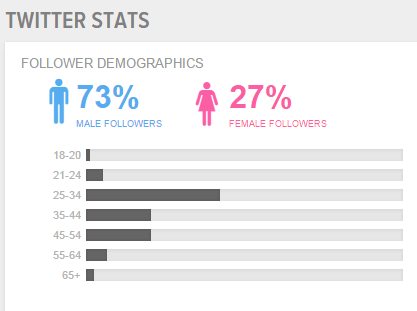 On Twitter, the imbalance is large with women comprising only 27% of all followers. Interestingly, of the people who actually engage with the Facebook page (liking, commenting, etc.) 45% are women and 53% are men. So fewer women like our page but a higher percentage of women interact with it than men (clicking like, commenting, sharing). I’m not sure why this is the case. Note the age differential, too, but my available stats don’t get into race and ethnicity. There have never been policies at the Institute to exclude women but there seems to have been little drive and opportunity in the past compared to more recently. Overall, these trends are changing in the direction of greater involvement by women. Brigham Young University has been extremely supportive of these improvements, and in some cases university personnel have directly made requests to see more inclusion of women. Overall it seems the Institute could benefit from even more substantial change! My next post will focus on one specific way I’d like to see more women get involved, something I can personally impact. Previous story November Young Women Lesson: Why is it important for me to gain an education and develop skills? Although male CES workers have not been common contributors, I wouldn’t be surprised at all if the only recently changed CES policy has put a damper on LDS female religious scholarship, since it greatly reduced the opportunity for women to see other women as religious scholar mentors. The same is true for the male-only priesthood and the extremely low number of female speakers in General Conferences. I am happy that you are beginning to see more female participation in recent years and that you have reached out to Exponent readers. I know there are many great female religious scholars among our readers and I hope some of them will consider contributing. I’m excited to see what your suggestions for involving more women will be! Staying tuned. I was actually going to respond to the bcc post. I’d just listened to the following podcast by freakonmics w Anne-Marie Slaughter, the woman who wrote the Atlantic article “women can’t have it all.” She made the point if you want high achieving women you need to have relationships where the spouse is willing to be the lead parent. I think this part of our culture plays into the lack of female theologians and religious scholars. I think it also comes down to how Early in life women dont receive the type of encouragement that helps them to envision a future in religious studies. Personally I’d love to be involved in Mormon studies, but I’m not quite sure how to make it happen; landlocked in Rexburg and all that following my husband around for his career. So. Interested in what you have to say, I guess. Well, I am sad to say what I plan to propose can’t make huge dents in larger systemic obstacles. It’s much more modest than that. It will deal mainly with the importance of providing more models and mentors, and providing a platform where women can demonstrate how faith and scholarship intertwine in their lives. Kristine, I thought of Anne-Marie Slaughter when I read this as well. I’d love to write more but being a mom of young kids + full time job + life = I am maxed out already. But Blair, I’m so glad you’re bringing this problem to greater attention. I applaud your efforts. Yeah, I think a lot of it is structural and systemic. Also I think programs w mixed online/on campus structure would enable more participation from women. Right now the programs are in VA, UT, and SoCal, right? Models/mentors are important as well. I wonder if the prominent excommunications and firings of female LDS scholars in the 1990’s has effected recruiting for Mormon Studies and other religious academic pursuits. I imagine that would be still impacting women today who felt unsafe as women writing and publishing about Mormonism from within. The closing of the Women’s Research Institute at BYU may have also contributed to this environment. This is a really important post, Blair. I’m so grateful you wrote it.